We all benefit from exfoliating the skin but many of us feel that exfoliating the skin could mean red, raw skin; or that it could result in excessive breakouts. Well, this is actually wrong. Exfoliating the skin is the removal of dead skin cells on the surface of the skin. It is also the removal of buildup from creams, serums and makeup. It is a way of preparing or clearing the skin and making it ready to absorb your anti-aging or moisturizers much more effectively. So, whether your skin is dry, oily or combination, it will benefit from regular exfoliation. 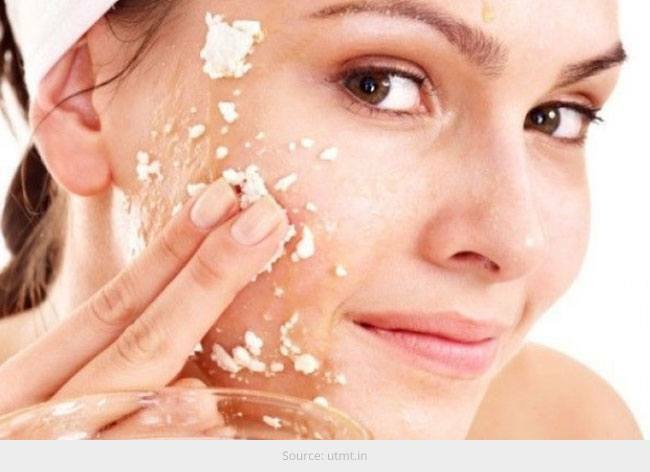 If your skin feels and looks pimply, it could mean that oil has become trapped in your pores and the best way to get rid of this is to exfoliate. Gentle chemical exfoliators with an AHA rich serum dissolves bonds between dead cells. Using a gentle, super-fine exfoliator with added vitamins will help clean the skin without irritating it. Follow with a gentle hydrating lotion and discover a skin which will be much hydrated and will look brighter. Exfoliating twice a week should be sufficient for dry skins. Stay away from rough scrubs with big granules as this could contribute to breakouts. A gentle face wash with hydroxyl acids such as glycolic or salicylic is sufficient enough to remove and break down pore-clogging dead skin cells. Clay masks work well for oily skins, as they absorb excessive oil from the skin. Exfoliators that offer pore-refining properties are also excellent for oily skins. This type of skin is when you have sensitive skin on the cheek areas and oily skin along the T-zone, meaning the forehead and nose areas. Gentle formulas containing natural oils and less abrasive beads are ideal for this type of skin. Soapy exfoliator formulas with non-irritating granules work wonders too, but have to be followed with a hydrating moisturizer, which will calm and smooth the skin. Once a week for this treatment is sufficient. It is best to exfoliate the skin in the morning, as skin renews itself overnight. Avoid scrubbing the face too vigorously, as this could cause micro-tears in the skin. Make sure that the skin is cleansed after exfoliation, and then apply a gentle toner which will calm the skin, followed by a super hydrating moisturiser. Home peels are also available; however, this is better done at night, as your skin will be more receptive once dead surface cells have been removed. Over-exfoliation is one of the most common skincare mistakes, especially among those who suffer with oily skin. If you scrub too harshly or exfoliate too often, the sebaceous glands produce more oil than necessary, resulting in more breakouts. For this reason, exfoliating the skin twice a week is best to remove dead skin cells and help the skin build and rejuvenate, which will result in a brighter, younger-looking you.